This week @AIESema, @MaxTheGrey and Astromech EPC-42 talk about the original story mission line that leads to you getting your very own HK-51 companion. We’ll cover tips and tricks, our review of the content and what our most and least favorite parts are. If you haven’t gotten your own HK-51 yet you’ll want to if for nothing else than to see some of this unique content in the game. We also cover news for the week from SWTOR in general and from our guild, Alea Iacta Est in SWTOR. Of course, you’ll also hear what we have been doing lately. 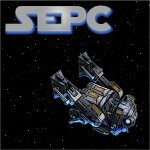 SWTOR Escape Pod Cast 66 – Our 3.0 Class Changes!